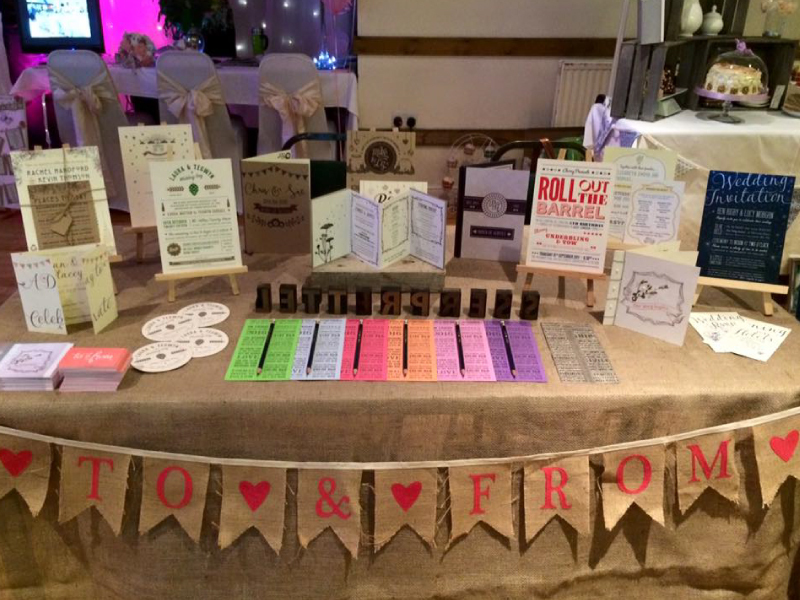 I exhibited my wedding stationery at the Rustic Lovebirds Manchester wedding fayre on Sunday. The day was filled with hand picked, talented wedding suppliers showing their creations to lot’s of lovely engaged couples. I was lucky enough to spend the whole day set up opposite Rustic Wedding Settings, who’s stall looked so enticing with all their wood creations. 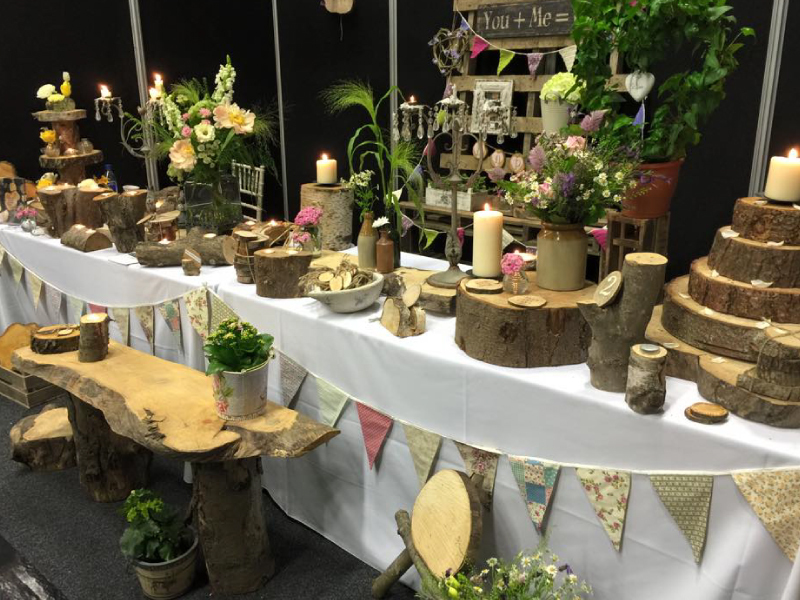 If you’re looking for some truly rustic props for your wedding day these guys offer signage, table decorations, cake stands, candle holders, stools, benches – anything a chainsaw can handle really! All items are available to hire or purchase from their showroom in Bolton. I had a great chat with the guys from Wilbraham’s of Chorlton – an independent jewellers who make their rings in their on-site workshop. You can have a bespoke design made by their experienced Goldsmith, couples can even design each others wedding rings – how cool would that be! Unlike going to a well known jewellery chain these guys can offer you a personalised service with a Manchester made product. I’ve done a couple of wedding fayres with Celia from the Wellbeing Farm and I was so please to hear that wedding bookings for her beautiful farm venue have gone from 12 at the beginning of this year up to 50 + Well done guys 😀 Couples should check this venue out sooner or later with those booking rates. Have you ever thought about having a celebrant to perform your wedding ceremony? I’d never heard of a celebrant until I met Liz from Unity Civil Celebrancy at a previous wedding fayre. A celebrant performs a ceremony that is written for you as a couple, it’s a very personal affair – unlike the general vows you say in a registry office. Perfect for those who want to make the most out of their ceremony https://xanaxcost.com/how-to-stop-panic-attacks/ without a religious tie. 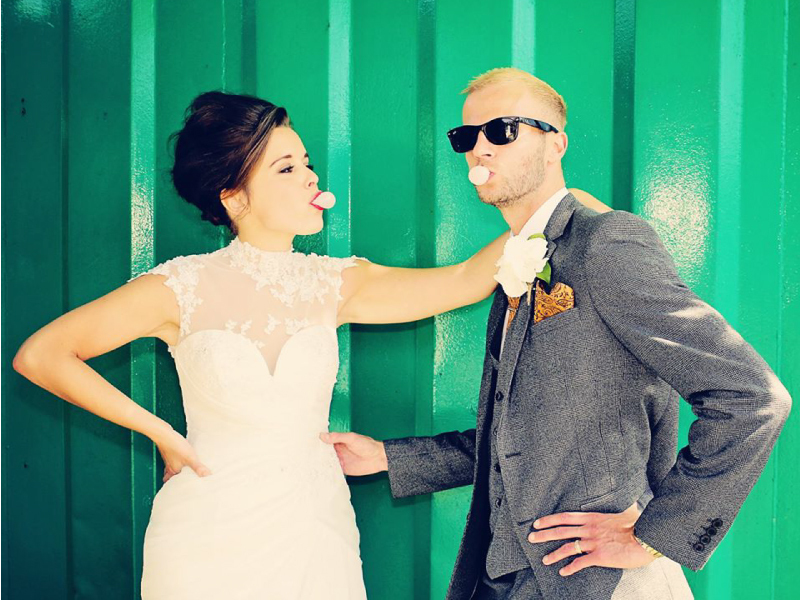 With a great urban, natural photography style our wedding fayre hosts Rustic Lovebirds Photography are the perfect choice for wedding photography. The colours in the image at the top of this post are so vibrant I actually thought this photograph was an illustration! Matt and Sabrina did a fabulous job hosting their first Manchester wedding fayre. They picked some great suppliers who complimented each other really well and the attendance was great. Can’t wait to be part of the next one! A Beautiful Thing have to be one of my favourite wedding entertainers that I have exhibited alongside. Their vocal harmonies are just dreamy! I have never heard anything like the sound they can create. They would be wonderful to walk down the aisle to, or as a relaxing addition at your wedding breakfast. I indulged in a post wedding fayre treat by having a WHOLE handmade pizza to myself and my gosh was it good! 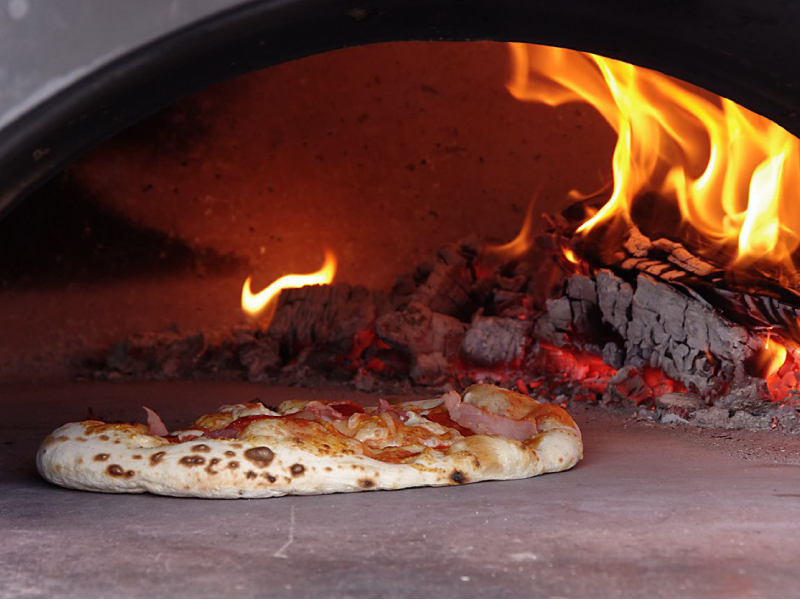 Stonebakers have a portable, wood fire pizza oven, which would be perfect for an outdoor wedding feast. The guys were so friendly and passionate about their food, they were a great addition to the fayre keeping all the suppliers going throughout the day with their delicious goods. There were so many other great suppliers exhibiting on the day – too many to mention. The advantage of attending these smaller scale independent wedding fayres is that all the suppliers are as passionate about your wedding as you are. We are in this industry because we love it and want to give you the best advice possible to make your day extra special. The National Vintage Wedding Fayre. Sunday 18th October. 11am – 3:30pm @ Victoria Baths, Hathersage Road, Chorlton on Medlock, Manchester M13 0FE.